The Stony Brook-Millstone Watershed Association and D&R Greenway Land Trust are co-sponsoring the 2nd annual Family Exploration on the Stony Brook at Greenway Meadows on Wednesday, July 11, 2012. Jeff Hoagland, Naturalist and Education Director at the Watershed Association, will lead a family-friendly guided exploration of the Stony Brook. 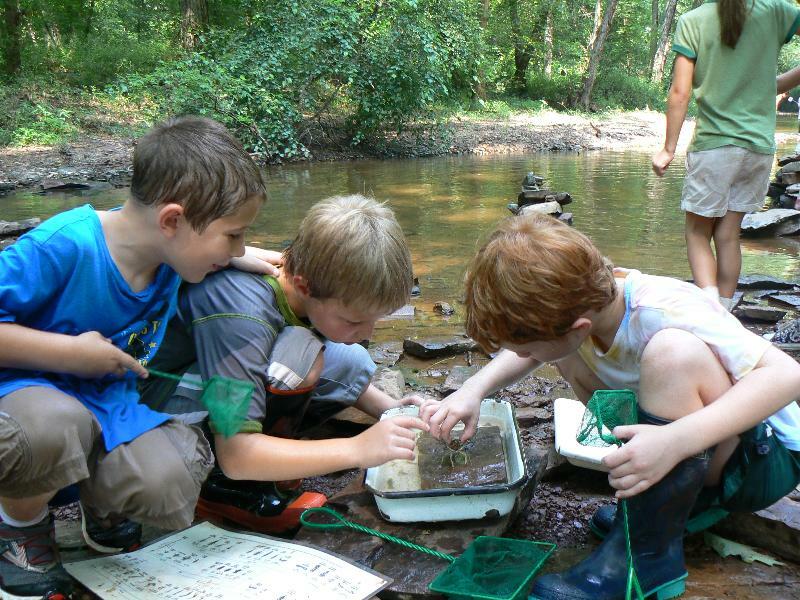 Participants will be able to explore the shallows of the brook, learn how to find stream life, and use small nets to meet some creatures up close. Old sneakers (or boots) are ideal for this ambling exploration. The program will be held at the Johnson Education Center, One Preservation Place, Princeton (not on the Watershed Reserve). Click here for directions. Space is available for picnicking on the terrace at the center beginning at 5:30 pm. Bring your own picnic dinner—drinks and dessert will be provided. The family exploration of the brook begins at 6:30 pm. Pre-registration is required and a $5 per person donation is requested to support the education programs of the Watershed Association. Register through the Watershed Association at mpolefka@thewatershed.org or by calling 609-737-7592.